An artist and her film-producer husband owned a small one-story home in a fashionable West Los Angeles neighborhood. 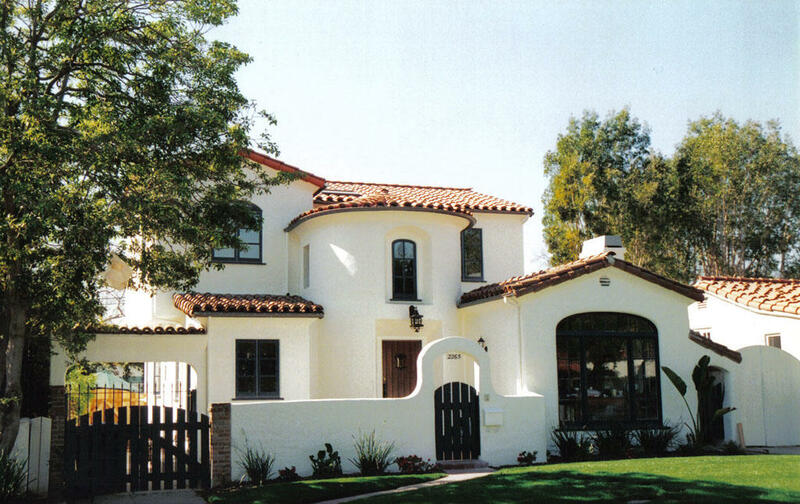 As an architect, I interpreted their wishes into a classic Spanish-style home that is now twice the size, keeping the authentic feel of the traditional home. I see too often house additions that are modern structures set onto an existing house, so the art is to make it look like it was all created at the same time, but long ago. The old home had attractive touches in the front but the back portion felt cramped and was isolated from the garden. I left just enough of the old house facing the street to maintain the authentic character, and took down the structure behind the façade to create an entirely new two-story building. I blended the old with the new by adding a full-height curved entry tower. This project shows that homes in our cities can adapt to our growing families while preserving the character of traditional neighborhoods.